Last night Cub Scouts was a blast (at least for me). My alter ego, The Amazing Bozini, made a guest appearance at the Pack 277 Bear den meeting for a magic show.Â I did about a dozen tricks and was reminded of a truth that I have learned and forgotten too many times to count.Â Of the twelve tricks, two bombed.Â One of those two cost me $165.00 and is fairly difficult to â€œoperate.â€ I wonâ€™t tell you what it involves (because I might want to show you some time), but letâ€™s just say it takes skill and lots of practice.Â The two things the Amazing Bozini has little of, time and more time.Â One of the tricks that were a huge success cost me less than $4.00 and is extremely easy to do. Ok, so letâ€™s go back to the principle that I have to keep relearning.Â Are you ready for this big, great, and magical life lesson? I have a tendency to over think, over plan, and think that more expensive and more complicated is better than simple and cheap.Â If you are a performer, teacher, parent, leader, etc.Â please read on. I have a $165.00 trick that now will probably gather dust while my tried-and-true cheap tricks continue to be used. So as a drifted off to sleep, I asked myself, â€œDrew (or Amazing Bozini), why do you keep slipping into this mindset?â€ and â€œHow do I keep this from happening again?â€ We all have those projects, plans, solutions, tricks, etc. that were expensive but are now gathering dust in some garage or basement somewhere while we use a cheap and simple alternative regularly. Time spent with your kids is not any better if you playing a $2,000 gaming system on a giant screen tv, than if you were to go hiking in the woods or fixing a broken bike chain in the garage. The time is what is precious, not the task. My ultimate goal with the Cub Scouts was to entertain them, make them laugh, and have them experience the unexpected â€“ not to wow them with my skill of illusions (which I totally rocked). So we need to ask ourselves, â€œWhat am I trying to accomplish?â€ or â€œWhat is the ultimate goal?â€ This is where the process has to begin. If you begin anywhere else, then rationale, decisions, steps to problem solving, etc.. get muddied and confused. If you start with the way we are going to fix this problem, or the way that we will teach kids, or the trick for the show, then why we do what we do gets lost. The focus becomes the steps or process instead of the ultimate goal. If I told you how I did my illusions, you would laugh at how simple they are to do. Of course, I am not going to tell you, because a magician never reveals his tricks. But when you stand up in front of a crowd you are going to be stressed. Then, you have to not only do the trick, but you also have to use â€œpatterâ€ (thatâ€™s what you say while you are doing the trick), which also is stressful. So when you have all these eyes watching every move you make, and then listening to every word you say, you want to get to theÂ ta da moment and have the desired response. The simpler you keep the trick, the less stress you will have.Â The simpler you can make the trick, the better. There simply is less to think about. So how does this apply to life? The simpler you can make your life, the easier it will be to deal with stress (which will come to us all).Â We tend to reverse this idea in life, we think the more things we can cram into our schedules, the more activities we can sign our kids up for, the more stuff I can accumulate, then I will have a â€œta daâ€ moment in my life. But all those activities and stuff only add stress and make life ever increasingly difficult to manage. In any show (or family life), the unexpected will happen.Â If you donâ€™t leave some room for â€œinterruptionsâ€ or the ability to think about other things, then you will get stressed out. Another principle to keep us from over complicating things is to recognize this tendency about ourselves. There will be a problem that will pop up ten minutes after you finish this article. Then you will go about solving the problem. 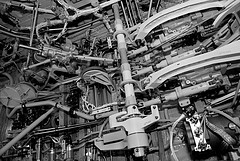 If you can recognize that you have the tendency to over complicate things, then, you can constantly ask yourself, â€œIs this the easiest and cheapest way to solve this problem?â€ You may only need a rubber band to fix the problem and you may figure out Â that it is not necessary to rebuild the space shuttle Discovery in the basement. Along these lines, is to know your personality. I would love to re-create the space shuttle Challenger in the basement (to fix the problem), and it would be fun. Yes, it would be expensive, and very time consuming, and tiring.Â But I would be able to point to the monstrosity and Â say, â€œlook at what we did to fix this problem.â€ And people would cheer and the neighbors would yell, and we could all go for rides in the space shuttle. Â So while it may be cool for you to pick aerospace engineering as a new hobby, it might not be the best way to fix the problem. While the rubber band is not quite as exciting. 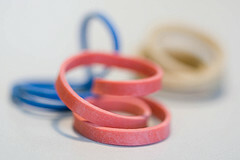 In fact rubber bands are quite boring (sorry rubber bands, but you are boring).Â But ask yourself, â€œIs this solution to the problem the simple and cheap solution?â€ And know that if you are like me, then your first swing at it probably will be more expensive and bigger than it has to be and you will need to go back to the drawing board. Donâ€™t go with the first set of drawings,Â spend some (more) time thinking about it and let someone else look at your plan for solving the issue. So hopefully I havenâ€™t taken a simple concept (Keep It Simple!) and made it overly complicated. Ta Da! I have always found it harder to perform in front of children. Adult are easy. The kids will yell out all kinds of awful things that adults would politely keep to themselves.Â They say things like,â€ I saw this trick at another magic show,â€ or â€œI know how he does it, â€œ and then proceed to tell how the trick is done. Or just yell out, â€œthis is boring.â€ That one hurts!